Christine Prill focuses her practice on commercial lending, corporate finance, regulatory compliance, corporate real estate, and various general corporate matters. She represents both borrowers and lenders in a variety of financing transactions and also has experience advising financial institutions and other financial service providers on federal and state compliance matters, including consumer lending, money transmission, and related laws. Christine graduated from the University of Notre Dame in 2003 with a finance degree and from Creighton University School of Law in 2006. 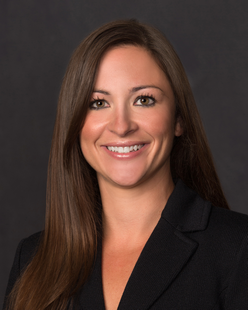 Prior to joining Crowley Fleck PLLP, she spent several years practicing with Husch Blackwell LLP in its Omaha office.